Blank Neoprene Collapsible 24 oz. Can Coolie is an upgrade from foam collapsible (more durable, dense wet suit type material) and is ideal for screen printing. 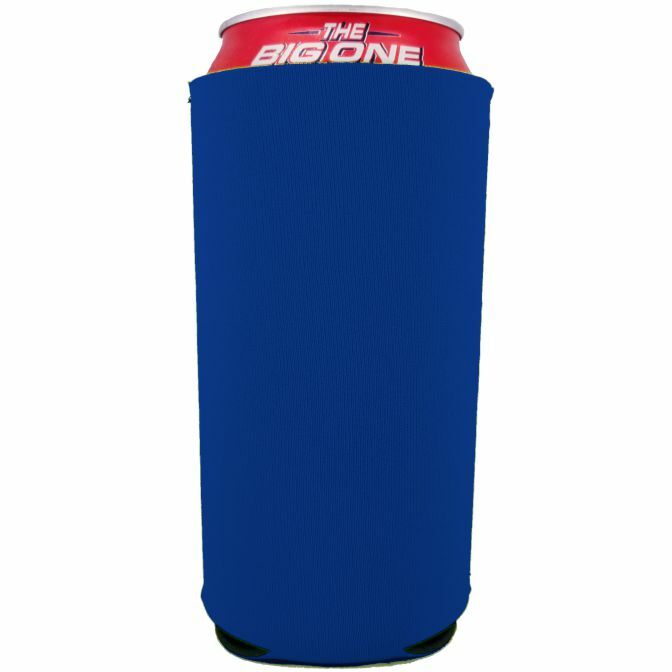 This koozie measures 4.5″x 8.5″ when flat (including 1″ bottom) and is 3mm (about 1/8″) in thickness. There are 2 seams, one on each side of the item, the seams can be recognized on the exterior of the item by a zig zag stitch up and down. This size can cooler fits most 24-25 oz. cans and other containers of similar size. The bottom of the item is a 1″ long collapsible “foot” so it is not completely enclosed, it is vented for easy folding/storage. Wholesale discount pricing is available with cheaper pricing for larger bulk orders. Order quantities of less than 50 ship within 1 business day. Orders of 50 or more of any one color ship in 7-10 days. For custom printing on this item please visit this link. We also offer variety color packs.